When we started the Franchise model in 2010 there was just a team of 4 with Paul working freelance. Today we have over 40 people in our corporate team who keep the wheels of operation in motion. Day to day operations at corporate HQ. Attends events and lends credibility in marketing & social media. Partners in Travel & Special Operations. In addition to the above we also have 40+ amazing people in our corporate team at our HQ in Bournemouth. 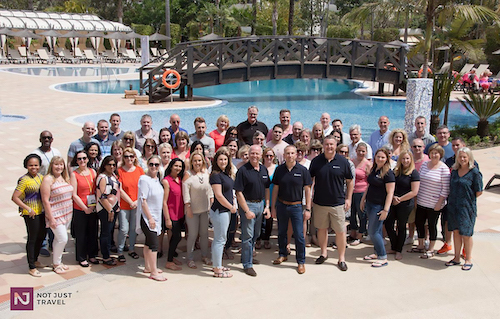 Behind the scenes at The Travel Franchise we have a dedicated team of travel professionals, entrepreneurs and business experts who help build your business. Together we partner with you to help create you the perfect travel business. Remember, we only make money if you make money so our sole purpose is to help you develop more and more sales. Our core team is based at our head offices next to Bournemouth International Airport, but we also have key team members and suport staff all around the UK – available to help you 7 days a week. We don’t believe you will find this level of commitment and support in any other franchise.